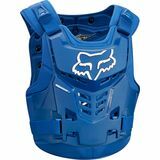 Steve M - Wallingford CT Excellent Protection "Bought this chest protector to replace my 6 year old one. Very light and comfortable. 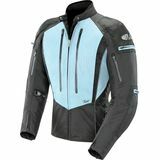 Sizing is accurate and adjustable. Just got done riding 165 miles at Hatfield and McCoy's on its first use. Couldn't be happier. Much more comfortable than the old one. Definitely a great purchase."